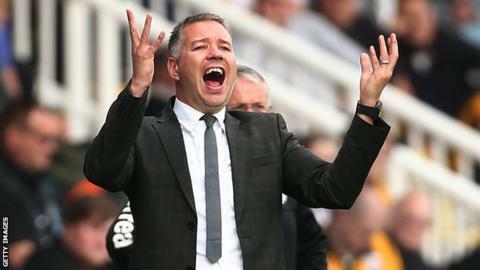 Peterborough United boss Darren Ferguson has been charged by the Football Association for alleged misconduct during Saturday's 2-0 loss to Colchester United. Ferguson was sent to the stands after remonstrating with referee Jeremy Simpson at half-time. The 42-year-old is accused of using improper "language and/or behaviour". Ferguson is under pressure at London Road and is meeting supporters on Thursday to discuss their concerns. He has been given until 18:00 GMT on 19 January to respond to the FA charge. Posh have only managed one win in their last 11 League One games and are currently 11th in the table.